The power will remain with the states in the red snapper fishery management debate. 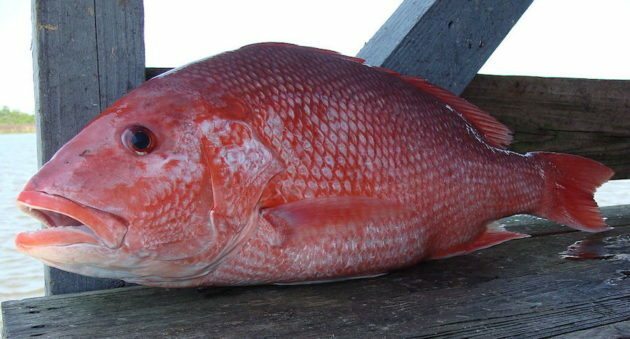 States along the Gulf Coast will continue managing the way red snapper are recreationally fished in federal waters. There was uncertainty about what would happen after a two-year program ended at the end of 2020. The Gulf of Mexico Fisheries Management Council announced the decision Thursday in Biloxi, Mississippi. Red snapper, once nearly depleted in the Gulf, have enough numbers and data behind them to prove strong enough to withstand the bag limits, size limits, and of course quotas originally requested by each state out to 200 nautical miles. State agencies like Louisiana's Department of Wildlife & Fisheries called it a "victory for Louisiana recreational anglers." There had been disagreement about how differing research methodologies among the states led to their collection of data and presumed population numbers receiving question. The National Oceanic Atmospheric Administration approved all the states and their procedures, which was enough for the Gulf Council to side with that continuation. Shorter red snapper seasons in years past had led to number improvements, and a 2017 extension of the season to 42 days is now looked at as premature, but signs do point towards overall positive trends. Commercial and charter boat red snapper catches will still be regulated by the federal government. "Each year, commercial boats are allocated 51% of the total quota for red snapper. Private anglers are allocated about 58% of the remainder, with the rest available for charter boats. This year, 2.8 million pounds (1.3 million kilograms) are available to people who go out in chartered fishing boats, with nearly 4.3 million pounds (1.9 million kilograms) for anglers on their own." "Now we have a certain amount of fish reserved just for us. Our Wildlife and Fisheries Commission sets the season for our anglers to catch that set amount of fish and they can set that season whenever they want that best fits our anglers and ensures responsible harvest levels," said Patrick Banks, assistant secretary of fisheries in Louisiana and a lead negotiator at the Gulf Council.